As you can see from the page on the menu called THE SCARLET EVELYN, this website was born out of frustration concerning a book that was no longer going to be appearing in print. My book. 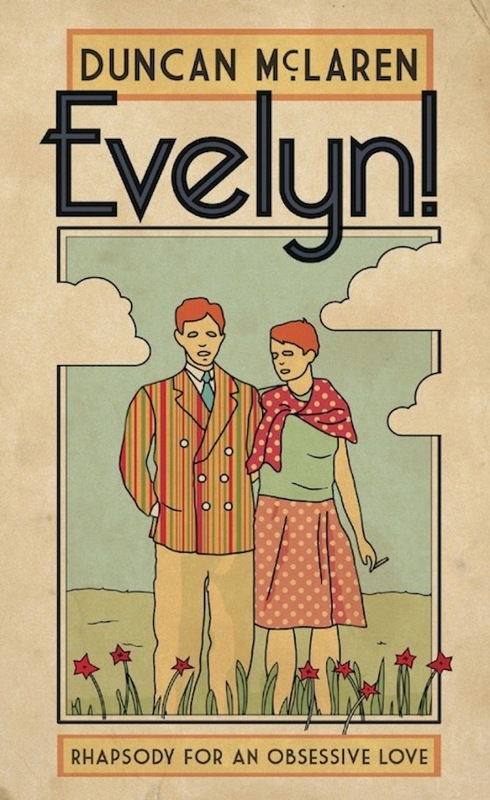 The website has since taken on a life of its own: an online biography of Evelyn Waugh is taking shape where, in my opinion, several phases of Waugh's life are given enough space so that the relevant Evelyn can be fully encountered. At the moment of writing this particular page (September 5, 2014), the site is biased towards Waugh's twenties. But, in this flexible format, his post-WW2 years, his forties and fifties, will gradually be covered, while I'll occasionally be going back to explore neglected periods of his relative youth. Like Evelyn Waugh, this site will put on weight as time goes on. Hopefully, it will age better than Evelyn did. Though from some perspectives Evelyn aged - and continues to age - just fine. 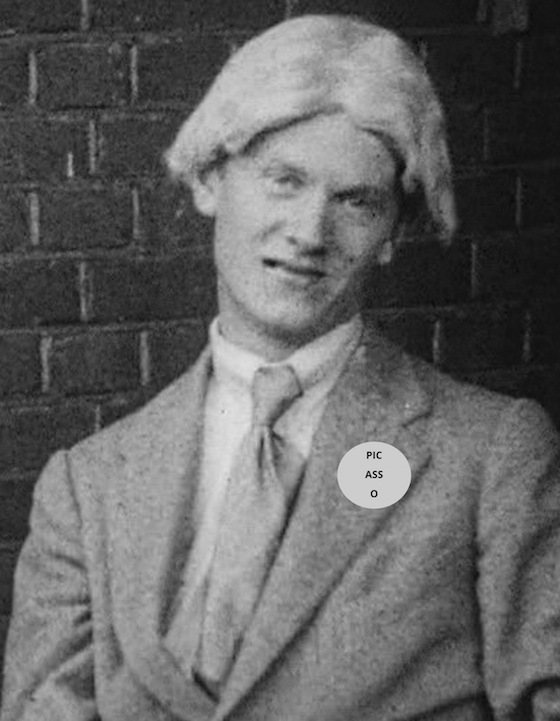 Still from The Scarlet Woman (1925), directed by Terence Greenidge, featuring Evelyn Waugh as the Dean of Balliol College, Oxford. 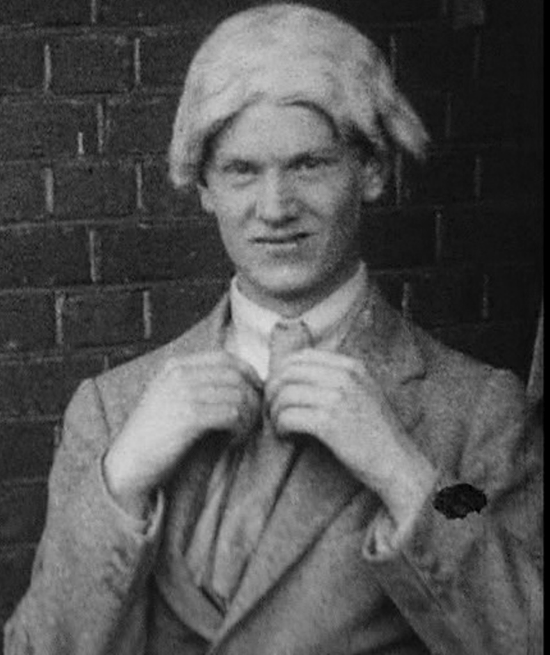 Although it's a more or less randomly chosen and unnamed still, I think of the above image as Evelyn Waugh: hiding from women, inferior tailoring, a hangover that has already lasted three days, the Century of the Common Man and - last but not least - the real Dean of Balliol. In other words, a man who was on a hiding to nothing. Aside from the still, how do I see Evelyn Waugh in the wider scheme of things? First, as the 20th Century writer who got through to the timid heart of me when I was seventeen. But also as an intellectual maverick, a monster savant and a mirror that both inspires and intimidates me. Step forward, Evelyn, come out of from under your father's porch and that faux-lawyer's wig and let us get a good look at you. On second thoughts, stay right where you are and we'll join you in hiding in due course. In my case, I'll be hiding from my partner, social media, a second bottle of wine, the self-interest of a public school elite, mainstream publishers and the prospect of my own mortality. Will that do for starters? Too static; let's get going. The book referred to in the opening paragraph above, is now (May, 2015) published. And so I have the best of both worlds: a solid publication out there in the real world, and this Living, Growing, Buzzing, Teasing (LGBT) creature that is coming at you via a computer screen. Copies of the first edition are still available from the Telegraph Bookshop, the Mail Bookshop or Amazon. Or, if that is all a bit too right wing and corporate for you, as it is for me, order from your local bookshop. If you like this site, do consider sharing it on social media. Every reader is precious. Though Evelyn is on record for saying that, on the contrary, he was writing for just a few of his closest friends. Who would they have been then? Oh, you'll soon get the hang of who was in or out of favour. Still from The Scarlet Woman (1925), directed by Terence Greenidge, featuring Evelyn Waugh as the Dean of Balliol College, Oxford. Plus badge.